A former St. Lucian government minister believes that politics in the Caribbean is going through a rough patch because of the quality some of the leaders who have emerged as prime ministers. Guy Joseph, a member of the opposition United Workers Party (UWP) in St. Lucia and he was one of two guest speakers at the UWP Dominica 25th Convention Rally in Londonderry recently. "For too long we have looked at the politics of the Caribbean, moving from the centre to the left and our leaders are becoming more dictators than servants," Joseph said. "You the people must say no to the dictatorship that is taking over the leadership of our Caribbean islands. Enough is enough…change is a must. As politicians we must understand that we are elected to carry out the wishes of the mandate of the people, not what we want but what the people want. We must hold politicians accountable for our votes…you cannot allow the government of Dominica to be a runaway train." However, he is of the view that such issues can be "fixed" once the people understand that "the power lies in you the people not with us the politicians, we can fix that." 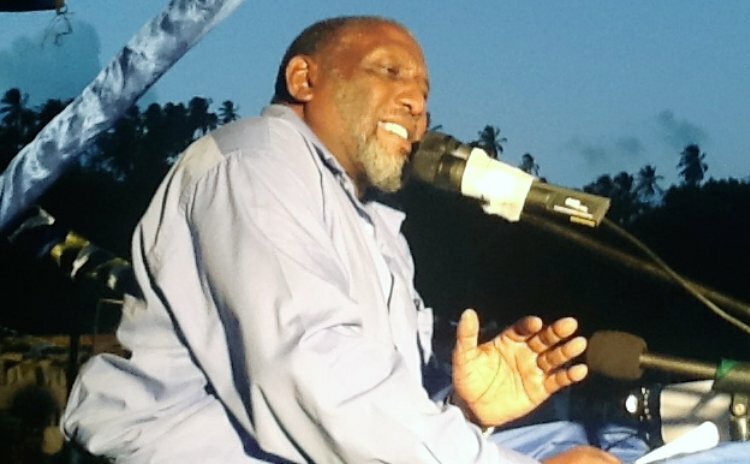 "When people have tasted power, it is not easy for them to give up, but I hope that other politicians in this region will take a page from Mr. Edison James who has facilitated a smooth transition within the leadership of the United Workers Party in Dominica, not very often we see this happening," he said. He showered praises of the founders of the UWP in Dominica. "I must say to the founding fathers of this great UWP that you are a good example for the rest of the Caribbean leaders to follow," the former St. Lucian government minister stated. He told UWP supporters that the issue, as it relates to the UWP leader in Dominica and that of St. Lucia, is the same - the leader of the party is not the leader of the opposition. So that he said is "nothing new to the politics of the region." Joseph also stated that Prime Minister Roosevelt Skerrit campaigned for the St. Lucia Labour Party in his constituency in 2001 and so he is now returning the favour. "I want to give Lennox Linton the assurance that when the bell in rung in Dominica, I will be returning to help him and the UWP," he said. Meantime, another Caribbean politician, Antiguan Leon "Chaku" Symister, a member of the ruling United Progressive Party (UPP) called on members of the UWP to "fight" for voter ID and "a new electoral list." "We need to have an electoral system that cannot be manipulated by those in power. It is absolutely for us to understand that those who make laws must get the legal authority or the consent of you, the people, and it can only done if we have free and fair elections…and we cannot have free and fair elections until we have a new electoral list," he said. He told the UWP Rally that there must be change in Dominica's electoral system if the UWP is to be successful at the polls. "Roosevelt Skerrit and his Labour Party will not want or bring about a change in the electoral system because it works for them. The power lies in your hand and you are the one who determines who runs your country. You also need a voter ID card and a re-registration of voters. You as Dominicans have the historic obligations to take this country away from the hands of Roosevelt Skerrit and do it now in the interest of your children and grand-children. The time is now," Symister stated.